Sunshine Hardwood Flooring offers quality hardwood floor installation services to Boise, Meridian, Eagle, and surrounding areas. We are a family-owned business with more than 40 years of wood flooring design, sales, and installation experience. Because we always deliver the quality of work that we promise, provide superior customer service, and keep our prices fair and competitive, we have thousands of satisfied customers and are proud to say that most of our business comes from referrals and repeat clients. We're qualified to meet the wood floor and stair sales and installation needs of homeowners, remodeling contractors, real estate companies, and businesses, and work on both remodeling and new construction projects of all sizes, from a one-room add-on to an entire home or building. Once you've hired Sunshine Hardwood Flooring, you can trust that your wood floors and/or stairs will be installed by highly-experienced, knowledgeable craftsmen. They have an average of at least 15 years of industry experience and are thoroughly familiar with the best practices for prefinished and unfinished wood flooring installation. The floors are carefully nailed down to a plywood subfloor for a completely flat and smooth surface. If the wood floor is unfinished, we'll then proceed to sand, stain, and finish them using the industry's leading equipment, techniques, and products for long-lasting, beautiful results. We use a virtually dust-free sanding process, and thoroughly clean up after the installation is complete. If you need help selecting the wood flooring system you want for your home or business, we can make suggestions based upon your individual needs, lifestyle, budget, and vision. 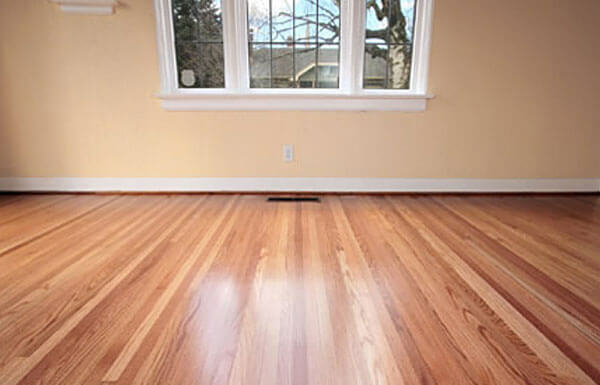 We can also refer you to reputable wood flooring dealers in the Boise area. Call us today to schedule your free on-site consultation. Consultations include measuring your wood floors, discussing your goals, reviewing your style and color preferences, discussing the budget, and deciding upon an overall plan. We will email a detailed estimate for the project after carefully reviewing the consultation notes. Once you've decided to proceed with Sunshine Hardwood Flooring as your wood floor contractor, we can schedule the installation. About one to three weeks prior to your wood floor installation date, we will have the wood delivered to your home or business so the wood has time to acclimate to its new environment.